Now that Summer is here, it’s time to break out the skirts and dresses. Toes are painted and the flip-flops come out of the closet as we head outside to enjoy the summer sun. With more time in the sun, that means it’s as important as ever to keep your skin protected and moisturized. 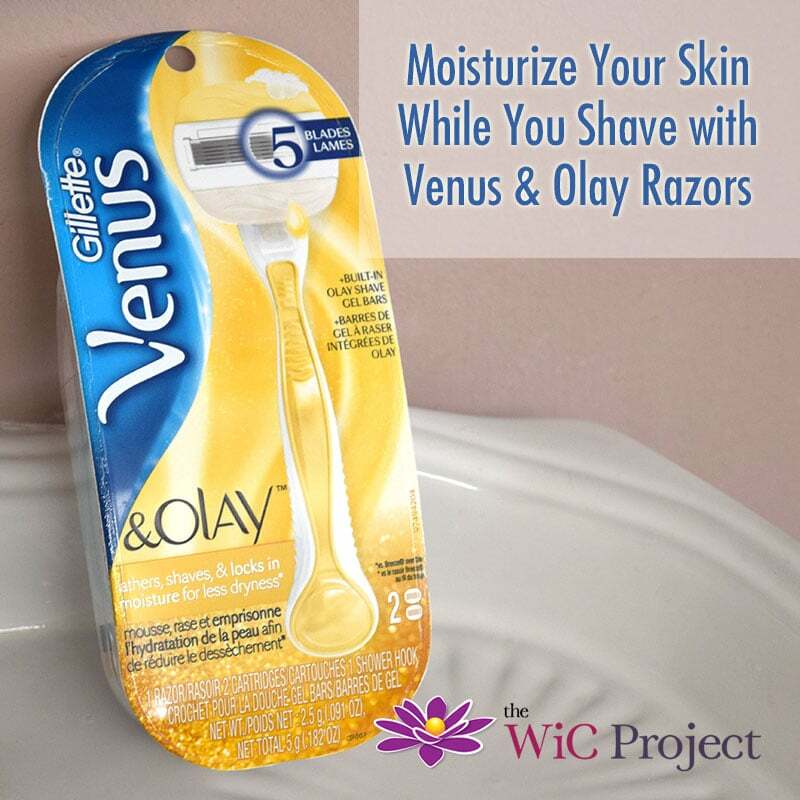 The Gillette Venus & Olay razor is the perfect solution for moisturizing your skin while you shave – no shaving cream needed! The Venus & Olay razor from Gillette has 5 blades to help get a super close shave. There are two built-in Olay Shave Gel Bars that lightly lather and release Olay skin conditioners that help lock in your skin’s moisture over time. This means you could have fewer ingrown hairs and less razor burn as your skin gets more moisturized. Exfoliating once or twice a week will also scrub away dry skin, which should help the Olay moisturizers work even more. I’ve come to expect a lot from the Olay brand and I was excited to see some of their skin care expertise built-in to the razor. There are two moisturizing bars at the top and bottom of the razor that help the razor glide smoothly over the skin and provide moisture. There’s a light vanilla scent when the Olay Shave Gel Bars are wet. I also appreciated the handle of the razor – it has a rubberized top and bottom grip that makes the razor easy to hold and maneuver. While I love the multi-tasking capabilities of the Venus & Olay razor, the right razor for your lifestyle might be different. Venus has created Choose Your Smooth – a way to find the right Venus razor based on your personality. 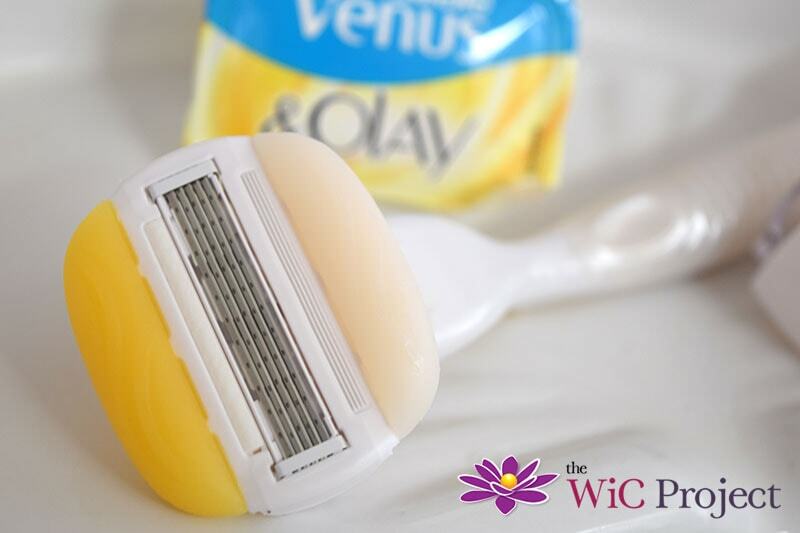 The Venus & Olay razor is for Multitaskers who love the all-in one razor that moisturizes while you shave. 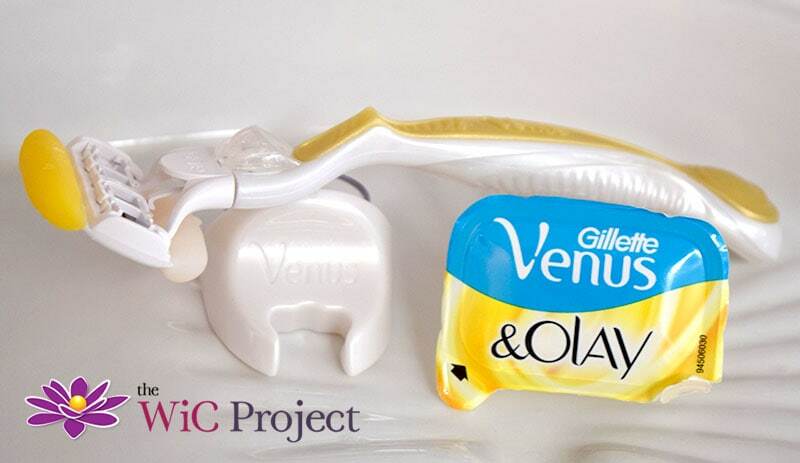 For the On-The-Go-Girl, the Venus Disposable lets you get a close shave for sensitive skin while you’re on the go. Finally, the Venus Swirl is a razor with 5 contour blades and Flexiball technology to give the Perfectionist flawlessly smooth legs. Watch the video below to help you Choose Your Smooth and then head to your nearest Walmart to stock up on the Gillette Venus & Olay and more Venus razors at a great price. Which Venus razor would you choose?